NTOABOMA—Ghana is not a Christian nation. It is neither a Muslim nation. Nor is it even a nation based in part on Traditional African Religious practices, where the Supreme Being and the Spirit of the Ancestors dot its every value system. Ghana is nothing like its constituent parts. If it was, the calling of the Spirits of Our Ancestors would be everywhere found in its imagination and constitution. Take for instance the national anthem by Mr. Philip Kormi Gbeho: God Bless Our Homeland Ghana. It is replete with the call to God to bless the homeland while the “sons of Ghana land,” arise and “under God march on for evermore.” Yet, besides the calls to be “fearless,” to unite and advance as one with Africa, under the collective banner of the Black star flag of hope and honor, the song sings much like “Onward Christian Soldiers,” a Presbyterian Hymn. Proclaim the dawn of our new day. And blaze the trail of freedom far and wide. And grant us peace here in our Fatherland. Yet, of the numerous entries that were presented to a National Anthem Selection Committee, Gbeho’s song was one out of four shortlisted and played regularly on radio for listeners to indicate their preferences. The choice was overwhelmingly in favor of Gbeho’s composition. The reason was simple. The melody was awe-inspiring for a population that barely understood the English in which it was written. However, this verse in particular struck the wrong chord in some government officials. As it should. They quickly met with Mr. Gbeho and discarded the original words of Gbeho’s piece for new ones written by a commissioned literary committee. The new version is what we now call: “God Bless Our Homeland Ghana,” which went with Gbeho’s tune as the National Anthem on that glorious day, 6 March, 1957. But even by the sententious literary standards of our so-called Ghanaian elite, the new version still sounded like the old—a very fine Presbyterian hymn. This in itself was not bad. For after all the imagination of self and of nationhood by our educated classes was yet to mature. Ghana was zero years since her independence from the British at that juncture. Besides the concomitant calls “to resist oppressors’ rule” in the anthem, which one should find revealing—be that as it may that the hymn itself rung and still smells of the acceptance of the paradigm of the oppressors’ religious inclination—the song sufficed for Independence Day. That given, Gbeho’s anthem was enough in that it came to replace an even more notorious song, “God Save the Queen”, which hitherto had been the country’s anthem. “Queen” here did not refer to Yaa Asantewa or some Gbeto warrior who resisted British or French occupation. No. It referred to the Queen of England, now Queen Elizadeath. But such an outlook for satisfaction, by merely replacing an annoyingly humiliating national song with a hymn, can hardly be tolerated in a country that was once occupied by real warriors, or even a country named after Kings (Gana)! There’s no honor in such perceived sufficiency. We must expect more. Without this triangulation, Ghana as with almost all African nations, suffers from a “fragmented memory.” Undoubtedly, this has led to a broken unity. That is, the unity of the dead, the living, and the unborn. We cannot achieve unity amidst this denial or lack of awareness of a loss. Ghana’s independence is haunted by those dead in the horrors of slavery, and by those long forgotten in the brutal wars for independence from colonial occupation, who have all never received their proper mourning. So, the best we can do is remember and honor them in our Anthem! Gbeho’s song does not cut it. This is not an indictment of Mr. Phillip Gbeho. He, together with his colleague teachers and friends like Dr. Ephraim Korku Amu at Achimota School, fought feverishly to have the teaching of Ghanaian music inculcated in pupils, especially in primary and secondary schools. This put him on a collision course with European Missionaries who—everywhere they have plagued with their “Italian” God—associate indigenous music with some kind of “devil worship.” Mr. Gbeho fought the Missions and succeeded in convincing the government to introduce African music and cultural studies more generally into the “formal” educational experiences of Ghanaian children. 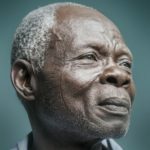 Mr. Gbeho’s contributions to Ghana are therefore no mean feat. However, it is time to lay down his hymn as the national anthem of Ghana and introduce the more spirited, the more traditionally in tune, and the more energizing song of his dear colleague Dr. Ephraim Korku Amu. Ephraim Amu’s “Yen Ara Asaase Ni,” a song in Twi that has become Ghana’s second national anthem is the better alternative. 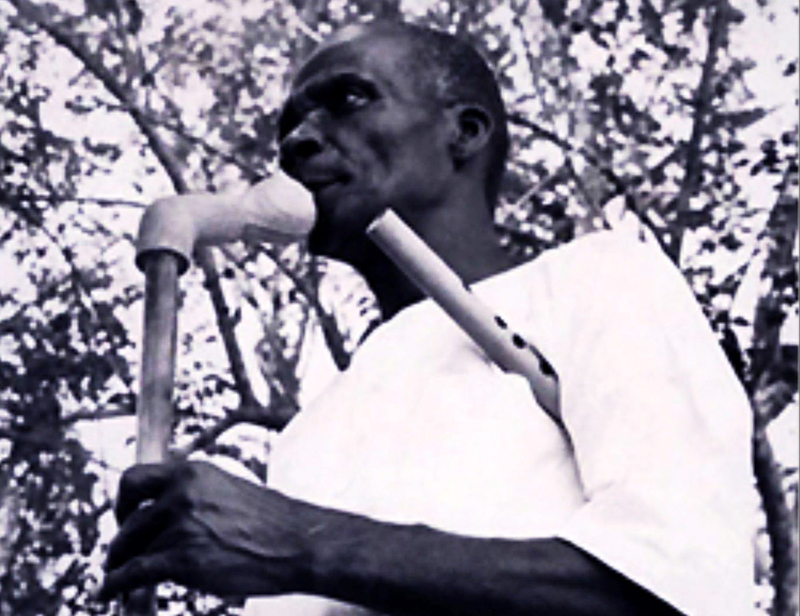 He first composed this piece in Ewe, titled “Miade Nyigba Lolo La.” It boasts of translations in almost all Ghanaian languages written and studied. Although I am not particularly pleased with the Twi and Ga (Wo dientse wo shikpon ne) translations of which I am amply familiar, the mastery of the cultural spaces the song commands in its imagination of Ghana’s striving for nation building is unparalleled. Amu’s anthem satisfies the craving for the tools that inspire, fire and drive the constructive imaginations of our youth. Consider this English translation of the first stanza: “This is our beloved Homeland; what a priceless heritage that it is; we have acquired it with the blood that our Ancestors shed for us; It is now our turn to continue what our Ancestors started.” In four lines, Amu completes the triangle of our existence and memory. He connects our present, our beloved homeland (a priceless heritage) to our revered and honored past (the blood that our ancestors shed to acquire it), and also he links both to the future (as we continue what our ancestors started). This is sheer brilliance. This is not just music but a sublime creed that is instantly energizing while it imbues the sense of pride we need in nation building. Amu’s anthem places our sense of urgency and agency to protect and love our homeland in our hands. Not only in God’s hands. The fate of our nation, Ghana, lies in how we treat it and our responsibility to work and fight for our country in the same way that our forefathers have done. Not in the hands of God, who of course must bless us, but who we must share with the British. “Whether or not Ghana prospers; clearly depends on the character of the citizens of our dear nation,” not on the character of God. Amu’s anthem then is everything like the constituent parts of Ghana. The calling of the Spirits of Our Ancestors is everywhere found in its imagination and constitution. This is the supreme will of our peoples. This is Ghana’s national anthem. Please share the version of Amu’s anthem in your language and the literal translation! I would love to learn and memorize all others. Very interesting. I always considered the Amu anthem as the authentic nationalist song. Maximum respect Narmer Amenuti. Indeed, that we now critically question all aspects of our culture and upbringing is the way to go. This essay shows that our youth are tired of “kissing” other people’s rings. It’s time to kneel before our Ancestors and unite with them, so we can guide our collective future more assertively. Reading the original stanza of Gbeho’s song gave me pimples, and they weren’t those from a goose. It’s chilling that we essentially have a hymn for a national anthem. It’s about time we erased it, or dropped it. Whatever we need to do we must begin to cleanse the spaces from which we operate as a nation. As an African nation. We need to own ourselves! We cannot continue to allow our children to commit intellectual and spiritual suicide. Our anthem needs to be Amu’s song, not Gbeho’s, and I mean that as no disrespect to a wonderful musician in Gbeho himself. Clearly, times are changing and our youth need much more than a severance pay check from colonialists abroad and at home. Thanks for expatiating more on the topic Narmer Amenuti. By juxtaposing Gbeho’s original stanza and the poor effort to make it more wholesome, with Amu’s anthem, one is left with a simple logical choice: “Yen Ara Asaase Ni,” in every language should become our National Anthem. This is meaningful in several ways: (1) it inspires the appreciation for our homeland in our children from the cherished source of indigenous languages; (2) it breathes a sense of pride in our languages themselves; (3) a common song, in local languages invoke a sense of unity amidst diversity; (4) it inculcates the agency we need in nation building right in the minds and hearts of children right from the word go, at five or six, when they learn the song, and finally (5) the song is even more expansive across the continent in forging some sort of collective identity. This last point is most revealing. “Yen Ara Asaase Ni” has been used as far as schools in Cote D’Ivoire in the same way that “Miade Nyigba Lolo La” has also been used as far as Togo and Benin. What more to link the collective aspirations of our dear nation Ghana, with the ancient, family, ethnic, and religious links with have we people across Africa? This for me is even more of an assert than the rest. Another brilliant provocation from Narmer Amenuti demanding our profound thinking and reflections on a vital subject-matter! “Mia togbuiwo tso wofe agbe gbledeta xoe nami, Edo nye kpliwo ha dzi be miawo miato sinu”: These lines of the anthem written by Togbe Koku Amu mean a lot more in its original Ewe than their translated versions into other languages! “Our Ancestors sacrificed their lives to wrest it back for us; It is has come up to the turn of me and you to do what is expected of us”! It was not only blood that was shed but whole lives of many generations of our Freedomfighting Ancestors were expended to gain back our homeland for us! The lack of serious understanding and therefore appreciation of this Truth in our people’s History of Ghana and Afrika is a major part of our problems today; the refusal of generations after those of our heroic Freedomfighting Ancestors to be prepared to sacrifice their lives, if need be, in order to gain more and better for themselves and for our Posterity! Indeed, the Ewe words more precisely say that our grandfathers took and expended their own lives to wrest it back for us; yes, they took their own lives and sacrificially expended them to win back our homeland for us! We now have generations who lack proper Afrikan Education and therefore preparedness to sacrifice even for their own good, let alone for the good of others, and even much less for Posterity! The obscenely selfish attitude that pervades society from the top to bottom in Ghana today, displayed most shamelessly by most of those in Government, Parliament, Civil Service, Judiciary, Armed Forces, Police and other organs of State, even in religious bodies and non-governmental organisations, is to gain profitably from the despoliation or collaboration in the plunder and maldevelopment of our homeland, without any honest intelligent exertion of the power of one’s brains and brawn, without making any sacrifices of oneself! Grandmother Africa can work with others in helping to rally a broad range of interested patriotic forces together to carry out such a massive promotion of the Amu anthem through various groundup endeavours of Popular Education; up to the point when the built up pressure from mass conscientization will compel government and parliament to get it officially confirmed, if not as the number one anthem, then as a conjunction with the Gbeho one, as is now the case in South Africa which has two equally recognised official anthems. Well written but sometimes people conceive Ghana as a culturally coherent nation and underestimate the deep seated ethnic divisions that can rear its head when we evoke such romantic ethnic base cultural heritage. It is precisely the reason why not even Twi which is widely spoken will not easily be accepted as an alternative official language. Nationalism in Africa is precisely to supress differences not to magnify them. Our carelessness with it will break a nation. You should withness when Amu’s Anthem is sang in a primary school in the capital when everyone is screaming for their language to be heard. How about the Northern languages that were not represented. Whose nation and culture will it be then? This precisely why Amu’s great song is not universal enough for a Ghanaian national anthem. On issues of translation I agree with you. Let the expects do the job. The fact that you do not find word equivalence or sentence equivalence does not make the translation reduced. The translations of this song is one of the best know in Ghanaian language studies. On the issue of our national anthem being Christianised I beg to differ. The tune might exhibit traces of othodox church music which is heavy in European influence, where we learnt the idea of nationhood in the first place. But the words touch on fundamental believes in God regardless of your religion. Identity is a fickle business In African nationalism and the symbols and narratives used to establish them must not to surrounded by mere cultural idealism. Another brilliant provocation from Narmer Amenuti demanding our profound thinking and reflections on a vital subject-matter! “Mia togbuiwo tso wofe agbe gbledeta xoe nami, Edo nye kpliwo ha dzi be miawo miato sinu”: These lines of the anthem written by Togbe Koku Amu mean a lot more in its original Ewe than their translated versions into other languages! “Our Ancestors sacrificed their lives to wrest it back for us; It is has come up to the turn of me and you to do what is expected of us”! It was not only blood that was shed but whole lives of many generations of our Freedomfighting Ancestors were expended to gain back our homeland for us! The lack of serious understanding and therefore appreciation of this Truth in our people’s History of Ghana and Afrika is a major part of our problems today; the refusal of generations after those of our heroic Freedomfighting Ancestors to be prepared to sacrifice their lives, if need be, in order to gain more and better for themselves and for our Posterity! Indeed, the Ewe words more precisely say that our grandfathers took and expended their own lives to wrest it back for us; yes, they took their own lives and sacrificially expended them to win back our homeland for us! We now have generations who lack proper Afrikan Education and therefore preparedness to sacrifice even for their own good, let alone for the good of others, and even much less for Posterity! Solomon Azumah-Gomez is also absolutely correct! Togbe Amu has already given us a farsighted visionary Pan-Afrikan Anthem! That the original song once beckoned to “Grant us peace here in our Fatherland” and not a Motherland is also telling. This is a diversion to solving the real problems of Ghana. If you think that by changing the National Anthem to Mr. Gbeho’s song will solve our problems or if you think by connecting to our ancestors will solve our present and problems is a very big joke. Our problems are, first, a brake down of law & order in the society. People steal state funds, sign very bad contracts because ‘10%’ bribes, take state lands ear marked for important projects, take decisions inimical to the State of Ghana & you people are talking about changing the National Anthem & connecting to our ancestors. Not being able to identify the real problems affecting Ghana & hence finding real solutions to solve the problems is another big problem we face. Remember that I didn’t discuss the other problems. The reason is that if we don’t start with the implementation of the strict rule of law in Ghana, nothing will work. The bad ones will steal from the State, etc & nothing will happen to the because they very big people backing them or begging for them or they themselves will use State apparatus to further their treachery while we all look on. Please, I have not insulted anyone so let’s keep this discourse clean. State your case without insults. Thank you. Kenneth Quartey, talking about our Anthem, as with all national symbols for the imagination of nationhood and striving to solve Ghana’s economic problems are not BINARY. I shall explain if this makes no sense to you. That means that one does not exclude the other! We can do both. We can talk and solve problems. Dade Afre Akufu, there are priorities. How we analyze our problems, find the root cause of our problems & use them to solve our problems will determine how successful we will be. See? You have a disease which is killing you. The disease has generated a side effect. If you cure the disease, the side effect will vanish. Why not cure the disease immediately? It is a matter of priority, priority, priority. Change the National Anthem & the plundering of the State still goes on unabated with increasing suffering of Ghanaians. A remarkable piece of analysis as to its style and analysis. But then, how does one put it in the context of the conduct and practice in today’s Ghana, where we bleach like crazy and believe that becoming a Christian is a sign of being civilized. Given what we have been taught in Ghana, from the first grade, Ghanaians find it hard to believe that Christianity is not universal and that it is a foreign. But then many seasoned Ghanaians find it equally hard to believe that soccer is a foreign sport. Such is the problem for subjugated people.Now, I am not in the position to condemn..Rather I would suggest that you continue to educate us with great articles like this one. Perhaps you can turn this into a book about the national anthems of liberated people of Africa and elsewhere. Yes, I hope that the author can turn some of his excellent essays into books. But I am sure he already knows that. He’s a fine mind we’ve been blessed with in Africa. Interesting juxtaposition. I agree with the main thesis of this piece. I have always seen Ephraim Amu’s “Miade nyigba” piece as more nationalistic than Philip Gbeho’s “God bless our homeland Ghana.” In fact, the former has, over the years, been adopted across Ghana, Togo and Benin, especially among the Ewe speaking people. Narmer Amenuti…thanks for the scholarship. Kenneth Quartey why do people steal from the state? Would you steal from your own household? Or only from those to whom you have no obligations? Part of the problem you describe, which is plundering from the state, is a result of breakdown of communities. Part of that breakdown is because of a breakdown of our language, writing, symbols, culture, and traditions. Though no one is saying that changing song lyrics will solve state corruption (Obviously this discussion is devoted to the National Anthem, and I am sure Grandmother Africa and others talk about state mismanagement in other articles or forums). It is a mistake, however, to say that the National Anthem, its words, and its meanings have no import. Or else why would nations have them and expend so much energy to craft them to their liking? Abena Maanu, please, read my contribution properly. I never said that the words of the National Anthem have no import, using your own words. What I pointed out is prioritizing our problems, find the real questions about the problems & solving them accordingly. So Kenneth Quartey, if we have ten problems identified ranked in priority 1, 2, 3, …10. Are you saying we should never talk about (2) until (1) is completely solved? Or we should never write about or discuss (2) through (10) since they are not real problems until (1) is completely resolved? Abena Maanu, I am sure that when the rule of law is well implemented & everything is working properly, no one will complain about the present National Anthem. Why are you complaining? It is because of the mismanagement of the governments, which have brought hardship on us Ghanaians. This is a simple matter. What? I’m not following your argument. Abena Maanu & Solomon Azumah-Gomez, all I am saying is that if things were going well in Ghana, you won’t complain about the present National Anthem. So, let’s solve the problems & changing the National Anthem would be moot.